The same government that includes a call to end the blockade on Gaza, in practice aids in imprisoning the Gazans by preventing them from holding valid Palestinian passports. Lies and power go hand in hand. But what is considered outrageous in a sovereign state is catastrophic for a society fighting for its freedom. The Palestinians have two sets of leadership under occupation competing for the dubious title of “government” – and both are generating lies to perpetuate their status. The Hamas government, which won the majority of the vote in democratic Palestinian legislative elections, is not recognized by most countries. Yet these countries warmly accept the Palestinian Authority government, which was appointed by the president and leader of the party that lost the election, Fatah. This is the government that has explained its decision to postpone the municipal and local elections, originally scheduled for July 17 this year, by its desire to prevent the political rift between the West Bank and Gaza from widening. Parallel elections would not have been possible in the Gaza Strip because of the split between the parties and clashes over authority and legitimacy. It is possible to argue over the logic of the initial stubbornness to hold elections that would have fortified the double-rule reality (one political experience in Gaza, and a different one in the West Bank ). This is why, indeed, independent circles in Gaza welcomed the decision to postpone. 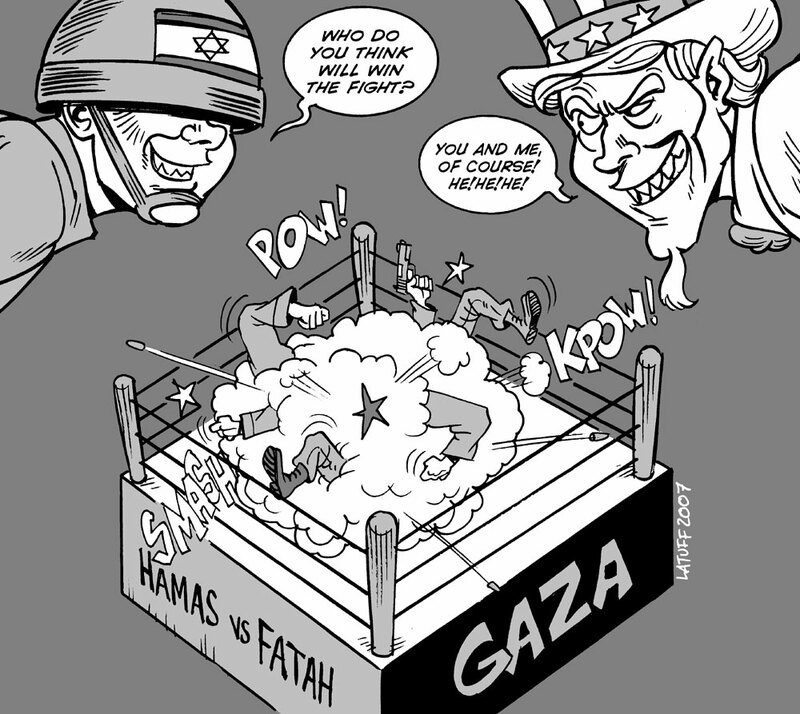 But everyone knows the real reason behind the postponement was internal disputes within Fatah, as well as a possible fear that competing slates would succeed – despite the fact that Hamas announced it would boycott the elections. The same government that includes a call to end the blockade on Gaza in every one of its statements, in practice aids in imprisoning the Gazans by preventing many of them from holding valid Palestinian passports. Not only does the Fatah government refuse to send blank passports to Gaza to be filled out, thus forcing Gazans to use the services of special go-between agencies which send the applications to Ramallah, but its general intelligence service even intervenes – as has been revealed lately – and in many cases vetoes passports for Gaza residents. Now, with Egypt easing the restrictions on entry through its border with Gaza, this arbitrary cruelty has become even more pronounced. The feeling of imprisonment, and the lies accompanying it, generates bitterness toward the government in Ramallah – even among those who are not Hamas supporters. Security forces in the West Bank continue to arrest people identified with Hamas. The fact that the vast majority of these people are imprisoned for extended periods without a trial or any charges brought against them, raises the suspicion that this practice is not meant to foil security risks, but to actually take revenge for Fatah’s defeat in Gaza and to repress its political opponents. Take Murad Amira, for example, from the village of Na’alin. As a volunteer paramedic in the Red Crescent he goes every Friday to the demonstrations held in his village against the separation wall. He was arrested by the Palestinian general security service six weeks ago and only released yesterday – without any explanation provided to him, his family or friends. The Ramallah government supports the popular struggle in its words, but at the same time its security services continuously harass activists in Na’alin who are close to Hamas: They arrest them for two or three days, release them, and arrest them again. That is why official support for the popular struggle is viewed as just another fabrication. It’s no surprise the protests have remained the private domain of those directly affected by the lands expropriations and haven’t drawn the masses, certainly not those who fill the coffee houses, restaurants and festivals in Ramallah. These are the same security authorities that have won praise from the occupier for the quiet they’ve achieved while the occupier acts: confiscating land, demolishing homes, expelling people, arresting children, preventing free movement and killing. The lies that accompany these activities and their close affiliation with Fatah cast a shadow over the trustworthiness of the leadership in the eyes of its people.